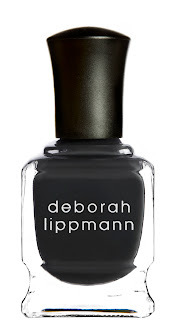 Deborah Lippmann Nail Polish Giveaway!! 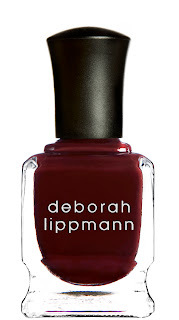 I am really thrilled to be presenting to you a wonderful giveaway with Deborah Lippmann! I have been a customer for many years and her polishes are some of the most original and gorgeous colors I have ever used. Being a manicurist, she knew how to create the best polish as well as making it without toluene, formaldehyde or DBP and No Animal Testing. This is my personal collection of Deborah Lippmann nail polishes! Some of my personal favorites are Sarah Smile (created with Sarah Jessica Parker), My Funny Valentine, You Can Leave Your Hat On, PYT (pretty young thing), Hit Me With Your Best Shot (created with Pat Benatar) and Happy Birthday (the super glitter one in the front). I do not think you can go wrong with any color in the collection. 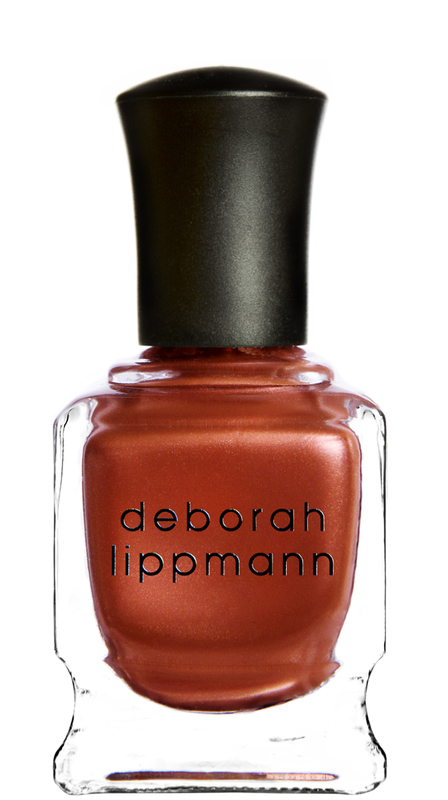 This is one of the new shades for fall, Brick House, which is a gorgeous rust shimmer and is amazing! 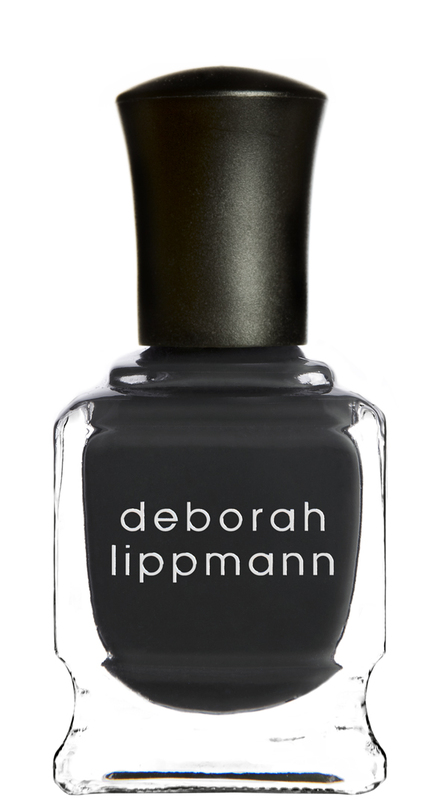 Be a follower of NYC, Style and a little Cannoli on google friend connect or subscribe via email AND leave a comment with what would be your favorite Deborah Lippman nail color on her website HERE. 1. Sign up to receive NYC, Style and a little Cannoli daily emails via feedburner at the top of this blog page. 3. “Like” NYC, Style and a little Cannoli on Facebook –> I have a new page so if you were previously my “friend on facebook” please like this page as well. Details: This giveaway is open to ALL and will remain open until August 22nd at 11:59 p.m. EST . Any comments left after this time will not be counted. The winner will be selected randomly and will be notified via email and will have 48 hours to claim their prize. I have received the giveaway Stormy Weather as well as Brick House from Deborah Lippman but have received no monetary compensation for posting this content and I have no material connection to the brands, topics and/or products that are mentioned herein. Shipping the giveaway to the winner will be provided by NYC, Style and a little Cannoli. My opinions are 100% my own. I love BILLIONAIRE. It is so unique! I must have across the universe!! I am an email subsrciber! 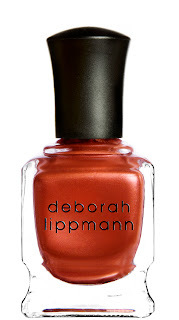 I have been looking lovingly at swatches of Deborah Lippman for a while now, but I unfortunately don't own any. However, my favorite is Bad Romance, I think it's one of the coolest polishes out there. +1 I signed up for daily emails on feedburner! 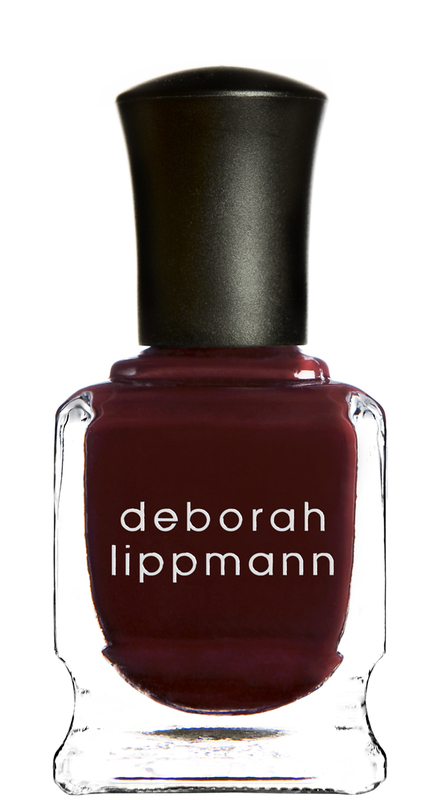 +1 Follow Deborah Lippman on Twitter and Tweeted! +1 I follow NYC, Style and a little cannoli on twitter and tweeted! +1 I liked NYC, Style and a little cannoli on facebook! Hi, I am following you on GFC as Kialaya. My email is kialaya [at] gmail.com and my favorite shade is still the one you show, Brick House. I looked at the other colours on the web but this one just looks gorgeous. Thanks. I'm in love with Brick House. So many others are gorgeous but that really speaks to me. I"m a follower. Snowdance1 at gmail dot com. thanks! I like Brick House. My email is Kuhlhiggins@aol.com. Have a great day! I'm following on GFC. And my favorite colors would have to be Believe and Whatever Lola Wants. %I'm following on Twitter (@EchoDannelle). I really love the Candy Shop glitter color in the GET THIS PARTY STARTED line! Liked NYC, Style, and a little Cannoli on Facebook. I am a follower of your blog :) My email is mccoover685@gmail.com. My favorite color is Satin Doll :)) I hope I win!! Thank you for the oppurtunity!! I signed up for your newsletter. I love all the colors, and especially the SINGLE LADIES. Thank you! I love single ladies! all are gorgous, but that one speaks to me. I signed up to be an email subscriber!